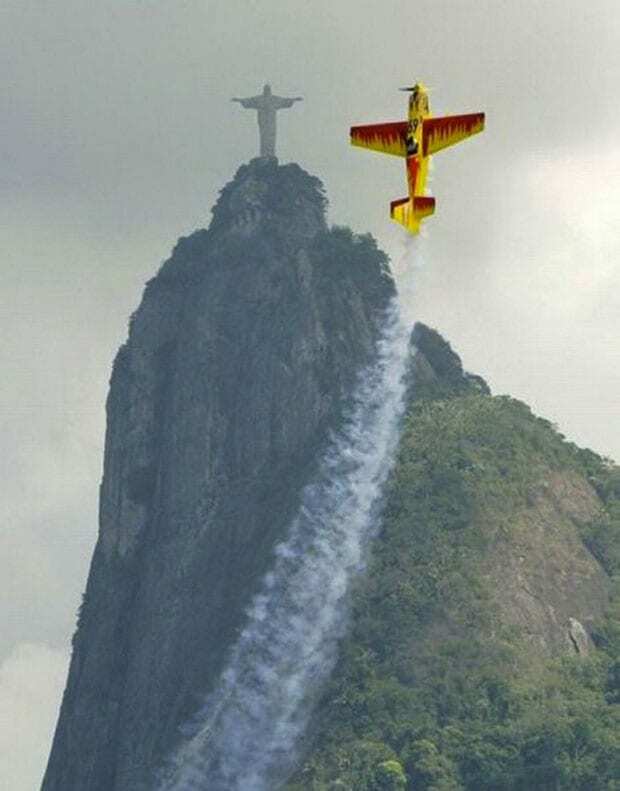 The magnificent Christ the Redeemer statue in Brazil’s famous city Rio de Janeiro, has always been an inspiration for beautiful photos and extraordinary art. But what happens when this world-wonder meets a skilled pilot, a colorful plane, a perfect timing and probably a little help from God? It’s definitely this awesome picture. There are so many small details in this image that are just too ideal to be true. Even the plane’s white trail goes perfectly with the foggy weather. It’s divine for sure. Buddhism which originated in India encompasses many different beliefs, traditions and life empowering quotes. In fact, it’s the fourth-largest religion in the world and has millions of followers and believers who follow the serene religion. 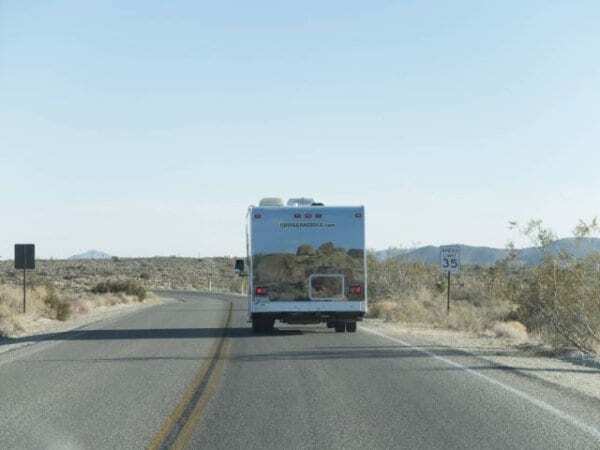 One Buddhist quote says that “it is better to travel well than to arrive”. Well, according to this picture, Buddha is pretty much taking his own and implement it in reality. 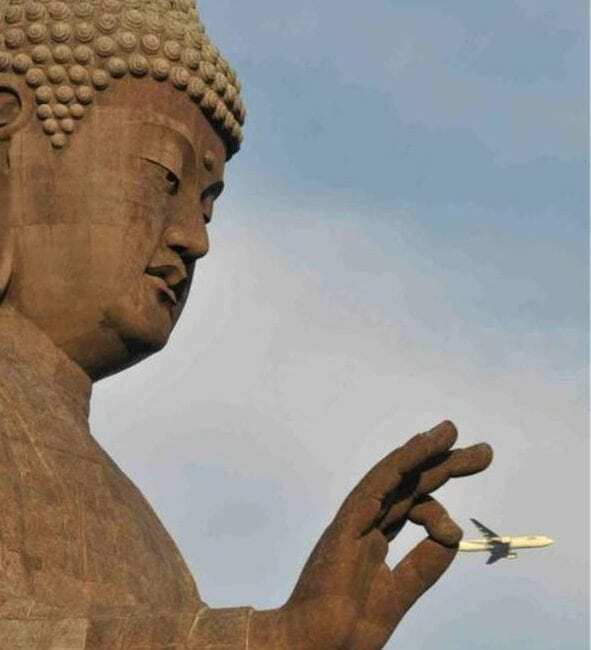 The way it looks like he’s catching the plane with his big fingers makes you wonder how literal that quote really is. Who knew that a simple flight to the safari can be so dangerous? Yes, it’s known that you should probably stay away from different kinds of wild animals, but you’d probably never think that you should be careful when exploring the safari from air! 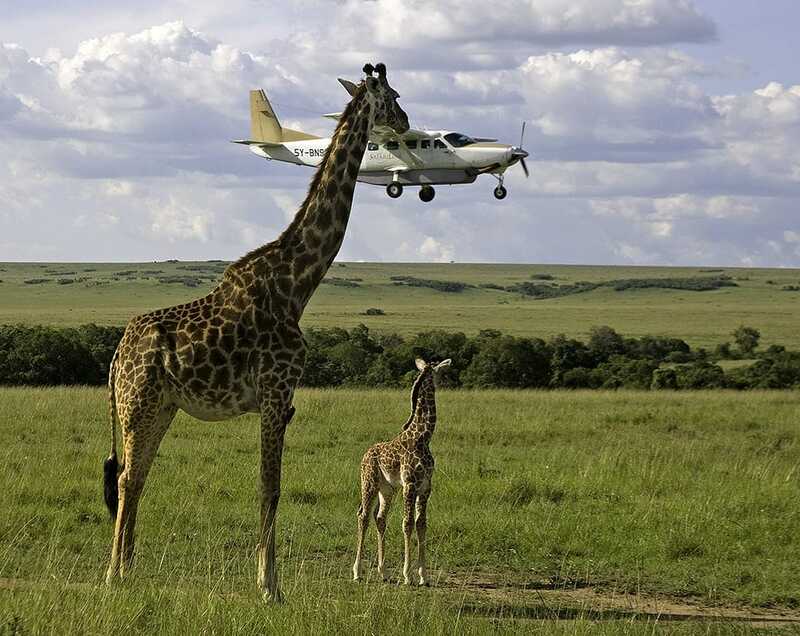 Now you know that it’s probably safer to fly at a certain altitude, otherwise you might bump into a giraffe. On second thought, who wouldn’t want to be so close to one of the prettiest animals on the planet? It’s both! 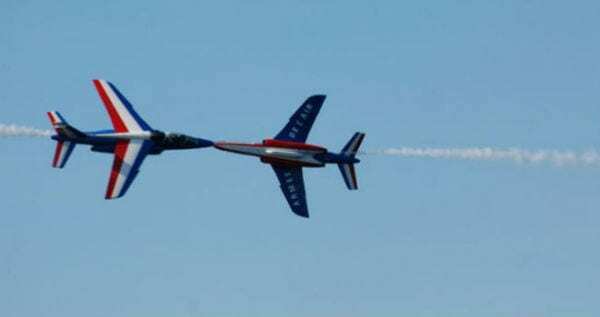 Ok, so it’s no Superman, but just take a look at this perfectly timed photo. 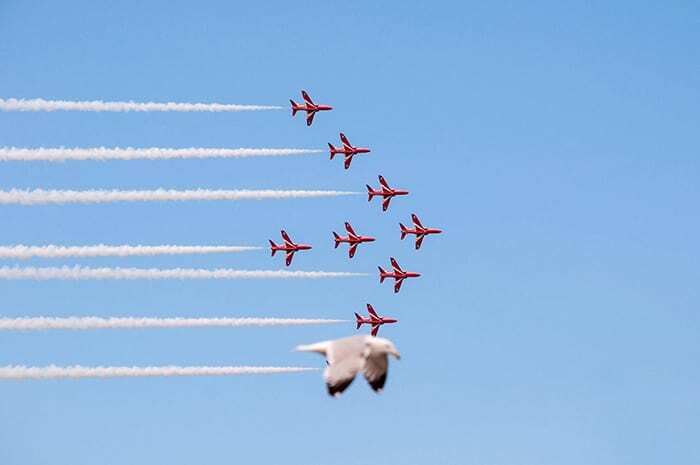 That bird looks like it’s just meant to be there as the ninth airplane in the row. Synced flying is one of the most beautiful visions in the sky, when it’s done properly of course, and one of the hardest things to accomplish. So much operation and logistics is taking place just to make it look as stunning as it does, so when it’s blended with nature, it’s even more breathtaking. We’re not sure what’s more funny about this picture. 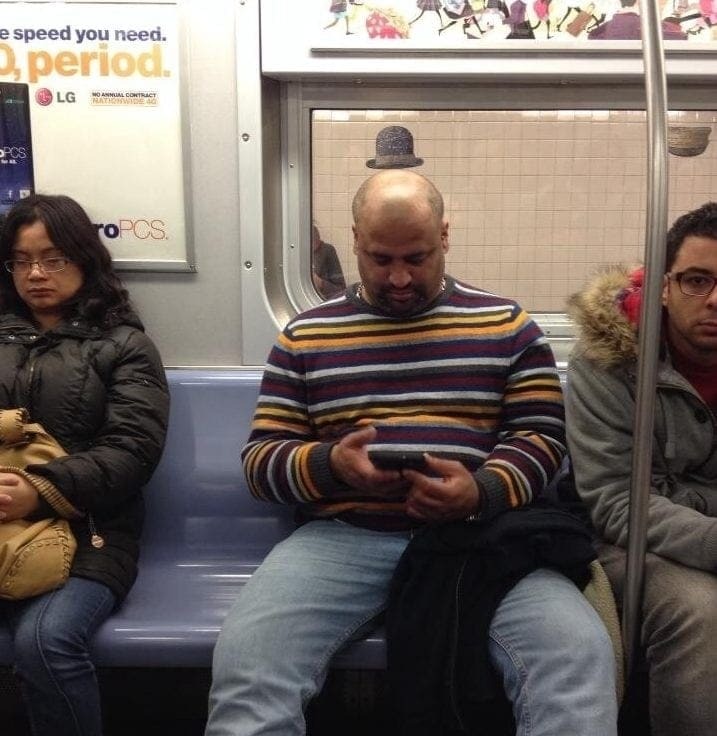 The fact that there is total disproportionation between the big guy in the striped sweater and the tiny bowler that just happens to be placed on the window, or, is it that guy who’s sitting next to him staring at the guy taking the picture, having no clue of what’s going just a couple inches away from him. Hey’ that could have been you dude. No, this is not a postcard, it’s a real photo and it doesn’t more romantic than that. We can seriously picture the events that were leading up to that one perfect moment. She wanted a romantic date, an ‘out of this world’ one. 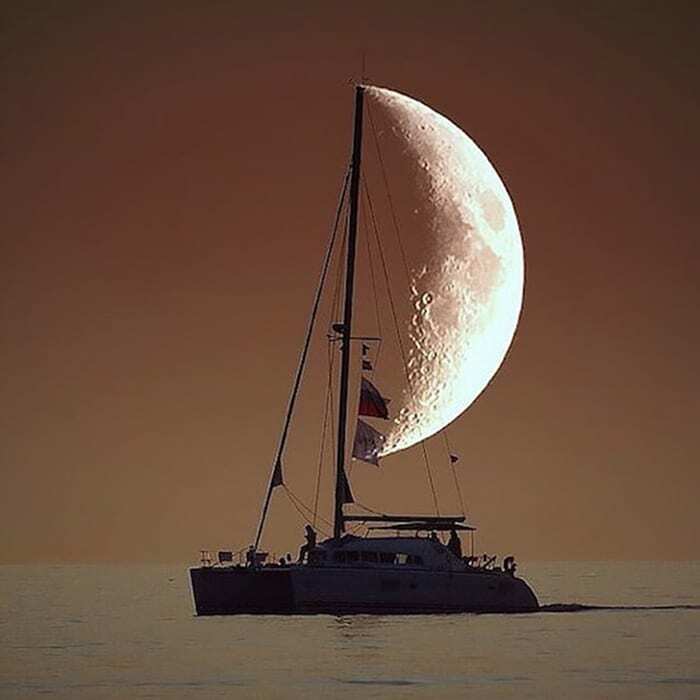 He wanted to step up his game and decided to rent a sailing boat. Then he also promised he would bring her the stars and the moon. 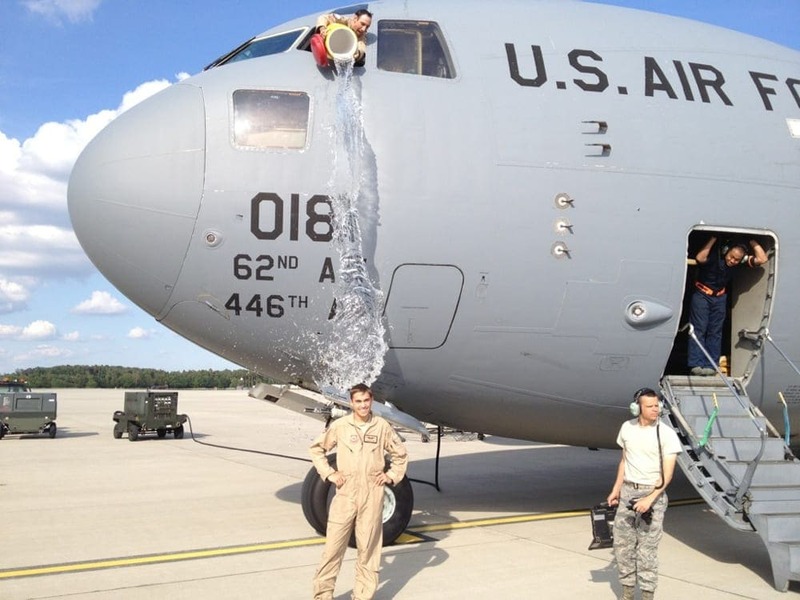 The result – one perfectly timed picture and one very happy couple. Food trucks are one of the hottest and latest trends in the culinary business. You can see them everywhere – on the sidewalks, at concerts, at weddings, at parks, they are pretty much all over the place. The best thing about them is the fact that they give the owners an opportunity to travel from one place to another and provide the clients with the different tastes of their food. 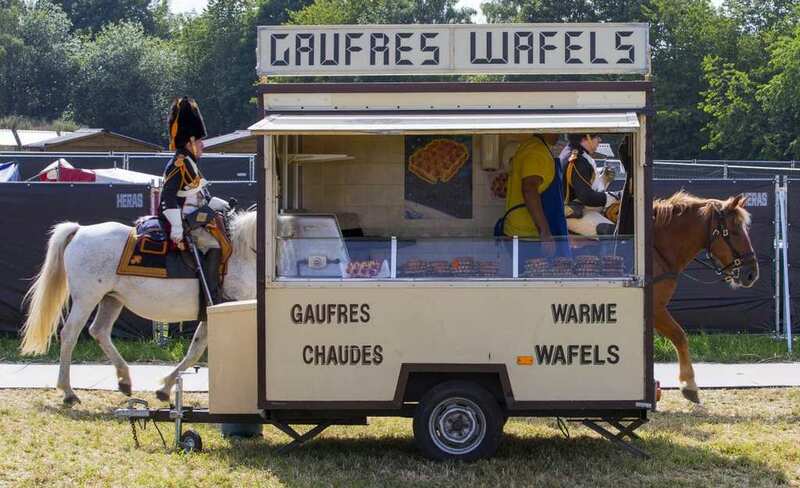 Yet, this is one mobile waffle truck that definitely stands out there with that looong horse. This picture right here proves that the military is not only about protecting in times of war or about providing a second home for troops from all over the country. There are also more romantic sides to the military, literally. These planes must have been so excited to be flying next to one another that they couldn’t resist giving a little peck in the skies. 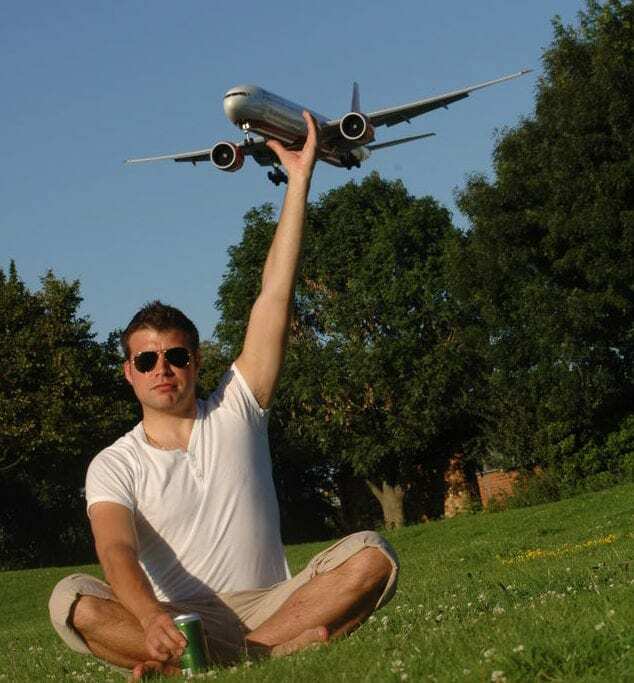 When it comes to airplanes, the sky’s the limit and love has no boundaries. Does this scene look like it was taken out of a Bond movie or what? It has all the right elements that could fit the 007 franchise: the water, the tilted boat and of course the secret agent. Not sure if this is staged or not, either way, this guy seems very serious about his job and he won’t let a couple of waves or a stormy weather to keep him from getting his job done. Now that’s real commitment. 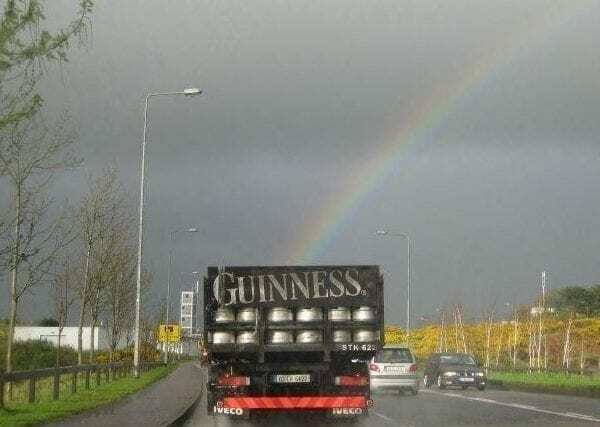 The creative team that does all the marketing for the Irish beer brand of Guinness is for certain a very busy one. You always have to reinvent yourself and come up with the trendiest and most creative idea to promote the brand in the market. It’s not an easy task. However, sometimes ideas can come in the most unexpected ways and sometimes nature has something to do with that. In this case, no big and bombastic lines needed, just a simple rainbow to convey the message. Ok, just like you have two sides to each story, so as this photo can be interpreted in a couple of ways. 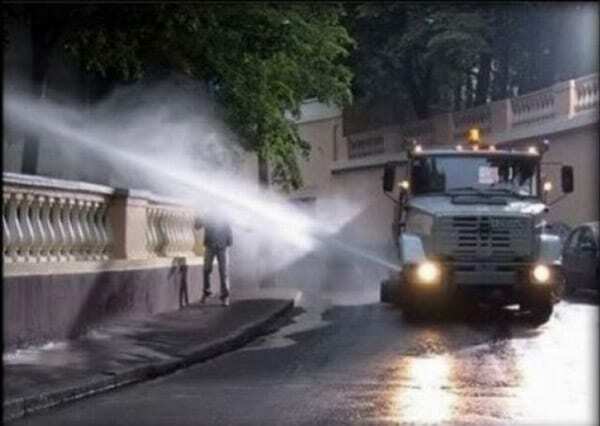 On one hand, from first look, it looks like the truck driver is just being an inconsiderate cruel person who just splashes water out of his car at the poor guy passing by. However, on the other hand, we can never really know what was going on in the picture just seconds before, maybe this guy’s head was on fire and the driver was just saving his life? Either way, it’s pretty funny. 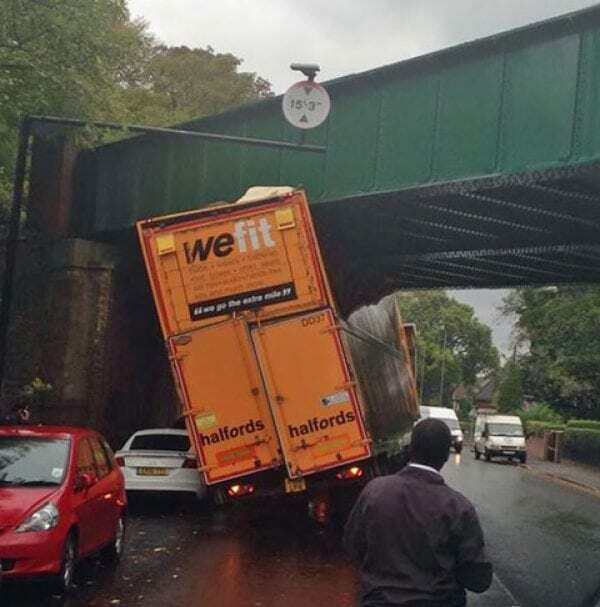 For a company that claims that they they offer their best motoring products including high quality car parts, mountain bikes and other accessories, to ensure the vehicle will keep moving, we find it a bit odd to see that halfords truck getting stuck under a bridge. Not so much moving going on over there. But the icing on the cake, or on the truck for that matter is that caption ‘We Fit’ which clearly has nothing to do with the current situation. The writing was on the wall.. of that plane. You don’t go on a plane, wherever it may be or for as long of as ride as it might be, thinking you’re going to get through the flight without some weird odors in the air. 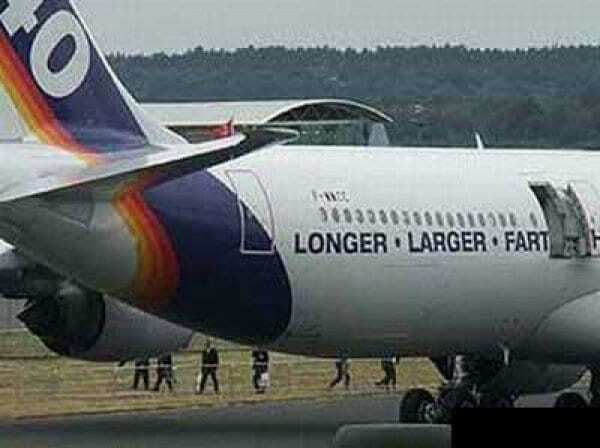 We just hope that the writing that we see here doesn’t imply that the longer the flight is or the larger the plane is, the bigger the fart will be. This is just some of the magic that happens when flying, enjoy! It’s a pretty common thing in Asian countries to have multiple motorcycle riders riding the same bike at once. The most we’ve seen with our own eyes were five on one bike! 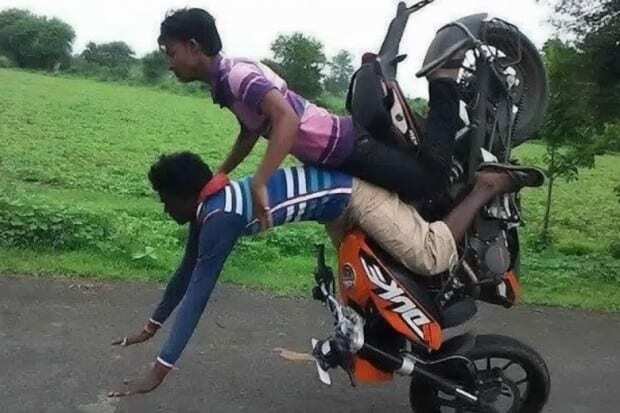 But still, as professional as they may be because it seems like this is the only way they know how to go, they can get reckless and careless and eventually they will fall off their bike. We get the falling part, but what do you say about the push-up the driver pulled off while falling. Now that’s professionalism. Anything that involves animals, especially very lovable and relatable ones like dogs is already too cute to handle. But just look at this pooch staring at the world outside his owners’s cars with his one ear up and his other floppy one. 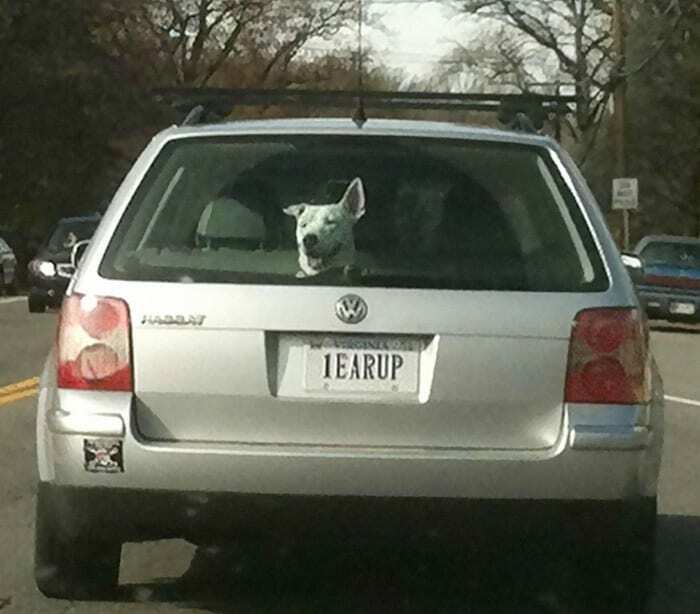 If you thought that’s adorable, just check out the registration plate. It almost seems too perfect to not be a photoshopped picture, but we’d like to think that it just happened in order to put a smile on our faces. Oh Thailand! The beaches, the food, the culture, the people and the overall luxurious being. Nothing tops Thailand in that sense, and some would even go as far as saying that it’s a magical place where magic happens. But when we think of magic, we never imagined this stuff going on. 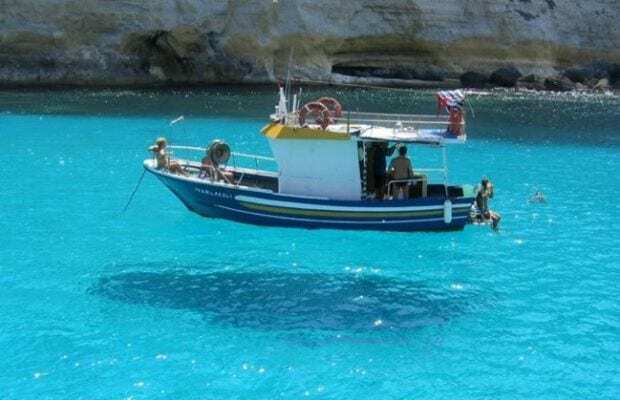 A floating boat in the air? Or is it just an illusion? 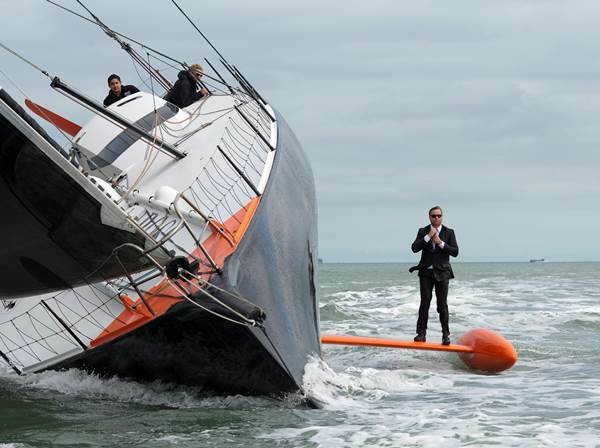 Not so sure what’s going on over there, but the people on board do seem a little too relaxed in our opinion. This picture makes us shake in our seats a tiny bit but it also makes us appreciate the people who catch the perfect kodak moments. 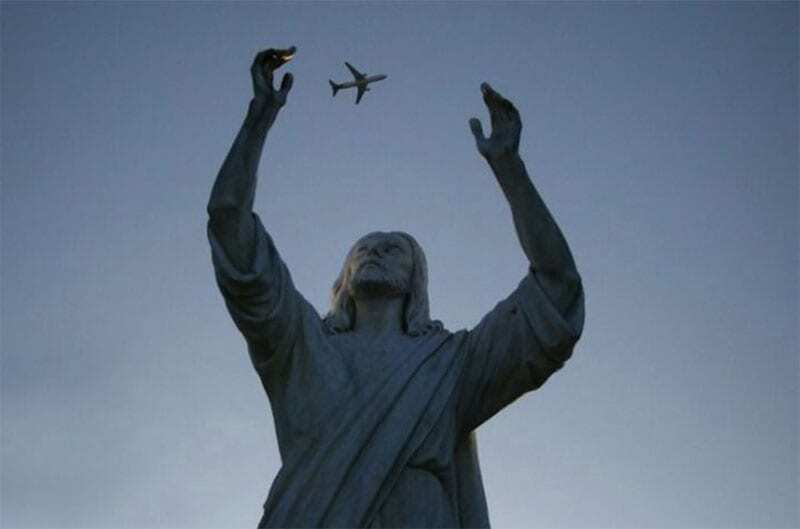 It’s almost a little too much to handle seeing a statue of Jesus almost grabbing a plane with his hands, it always throws us back to the horrible events that happened in 2001, where there was a belief that religious powers had something to do with the unbelievable attacks. However, this moment right here is also powerful in so many other ways that we’ll just leave it for you to appreciate. 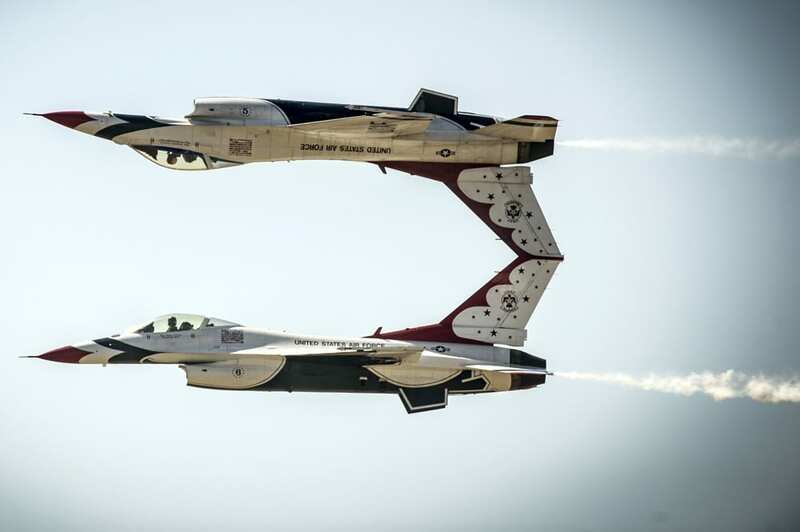 These two planes are so perfectly aligned with one another, only upside down that it blows our minds how they managed to do that. The hours of practice and breathless moments that it took just to get this amazing sync. It’s so perfect that it kind of reminds us those Sunday newspaper quizzes where you have two almost identical pictures side by side and you have to circle the differences between them, if you can find them of course. 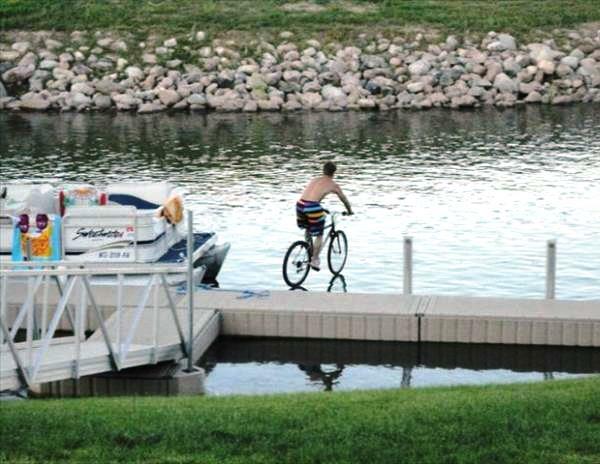 We didn’t know it’s even possible, but apparently it’s easier than we thought to cycle over water. This guy must have had the most amazing day. Just look at where he is with all of that green surrounding and serene water. This picture was almost voted as the best perfectly timed photo, on our list, but eventually it was decided not to give it the prestigious title, all because of this dude’s shorts. Did he have to ruin the picture with those stripes swim shorts? What happens when two trucks with totally random writings on them cross each other or cross over and under the same bridge at the exact same time? Only funny things happen, we can assure you that! ‘You only have to ask…’ ‘Do you love your bum?’ That’s a really good question, random, but yes, it’s definitely something to think about. What we’re wondering though, is what the bottom truck is used for and what does it carry that it has such a philosophical and big question written all over it. 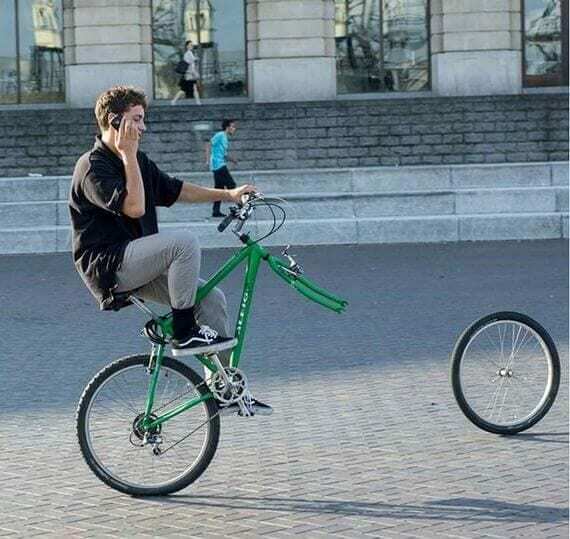 This dude is probably very concentrated in his phone conversation that he didn’t even notice one of his bike’s wheels fell off. He’s acting very nonchalant about it which is kind of funny considering he won’t be able to keep rolling that way for much longer.. It’s known that teenagers these days are all into their phones, that’s all they care about and that’s all they do all day long. They’ll stay busy with their phones no matter what happens! How did your morning start? well, I got up, brushed my teeth, got ready for work and just like I do every single morning, headed to the closest train station to catch the train that takes me to my workplace. Then I sat in my usual seat and saw a dog-person sitting in the row in front of me. Just another normal morning. 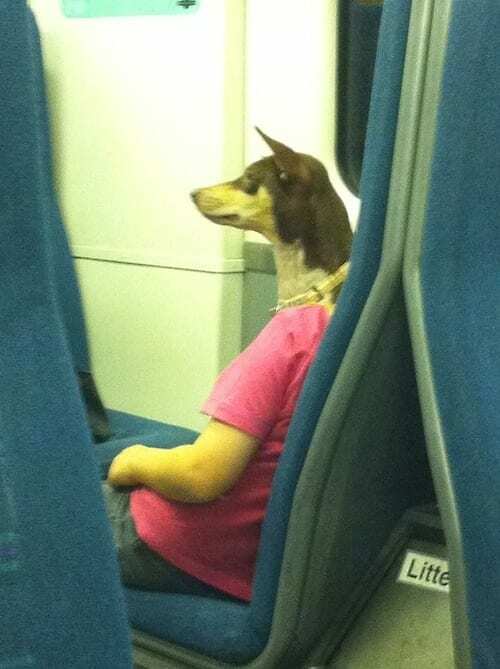 This guy who took his dog on the train probably never thought this would be caught on camera. 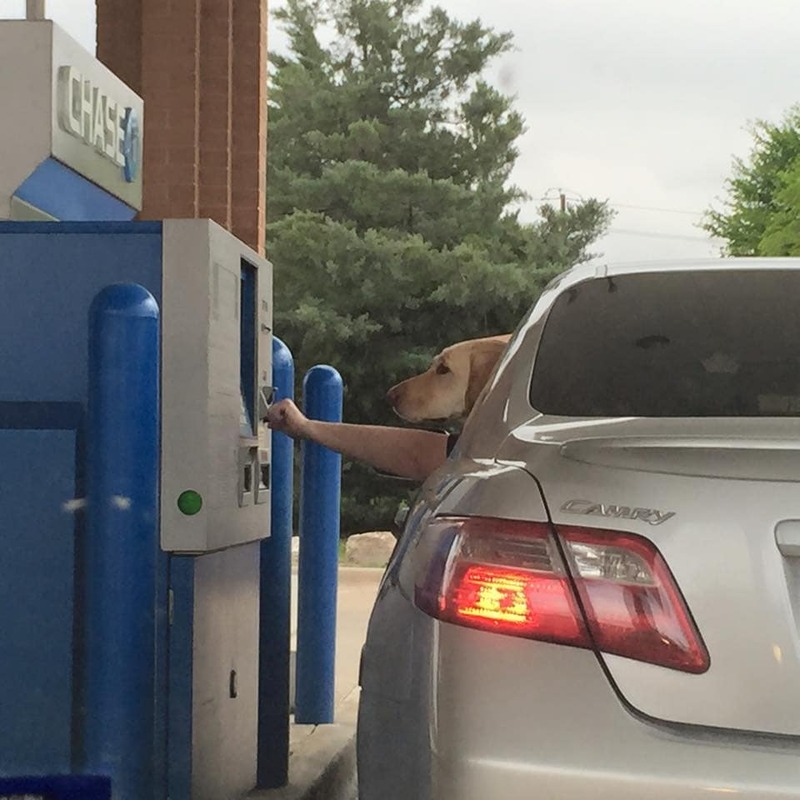 We wonder if the dog had to pay for the ticket! Every person likes their coffee differently in the morning. Not just in terms of how you make it, but also how you go about to have it. Some prefer to make one at home before they leave for work, and some prefer to hop by to the closest Starbucks shop and get one for the road. 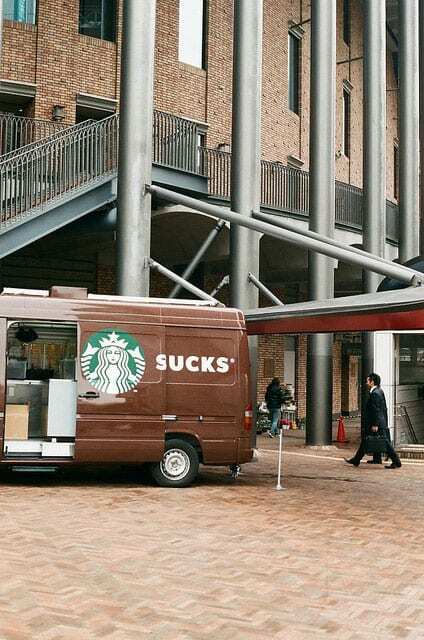 The issue regarding how good of a coffee is Starbucks has been on the table for years. Some may like it more and some may say it’s the worst in the world. While this is such a hot topic, the branding team should really pay more attention to how they brand their different media outlets so mistakes like that won’t happen again. It’s never fun being the new guy or the young student at the course, especially in the army. Military hazing is one of the most burning issues out there. Some may say it’s a tradition and it’s all done in good spirit and you just have to be a good sport about it. Some may say it’s humiliating, degrading and totally unnecessary. Still, when you run into a picture like this one here, you can’t help but think that it’s even a little bit funny. When you think of ‘new world’ meets ‘old world’ in terms of how the two can co exist, this picture depicts it in the best possible way. On one side you have the old Romanian grandma with the tights, the shoes and the paper bags of course. 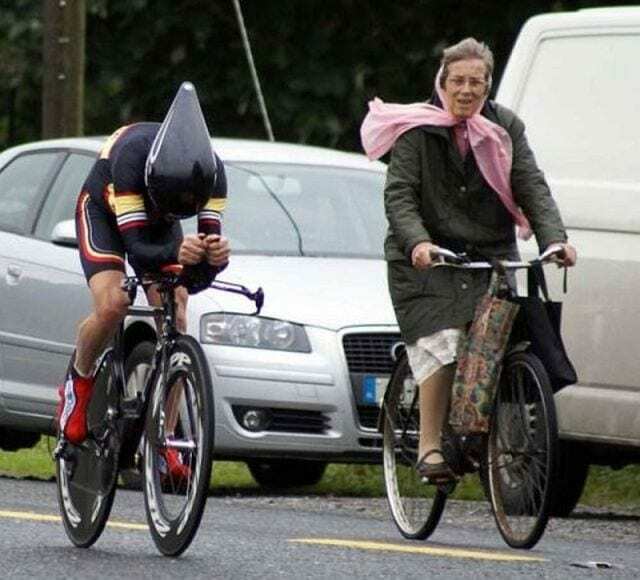 Right beside her is the bicycle rider with that funny looking helmet in his tight sports outfit. This is a classic case of serendipity, it’s just priceless to watch. By the way, in terms of style, nana wins big time. You know when you arrive at a public parking lot or at a drive-in ATM and you’re trying to reach the machine from the seat in your car and you just wish you had a few extra inches to get you closer? How annoying can that be? This guy has it all figured out apparently! Get your dog to pull out the money for you, it seems like a good solution. Now that’s a start up! while we’re on that topic, have you ever wondered how cool it would be to have a drive-in for pets? In non-Western countries like India for example, it’s a common thing to have overly crowded trains that cross each other at the same time. We guess it can get quite confusing to figure out which train you need to hop on with all these people. 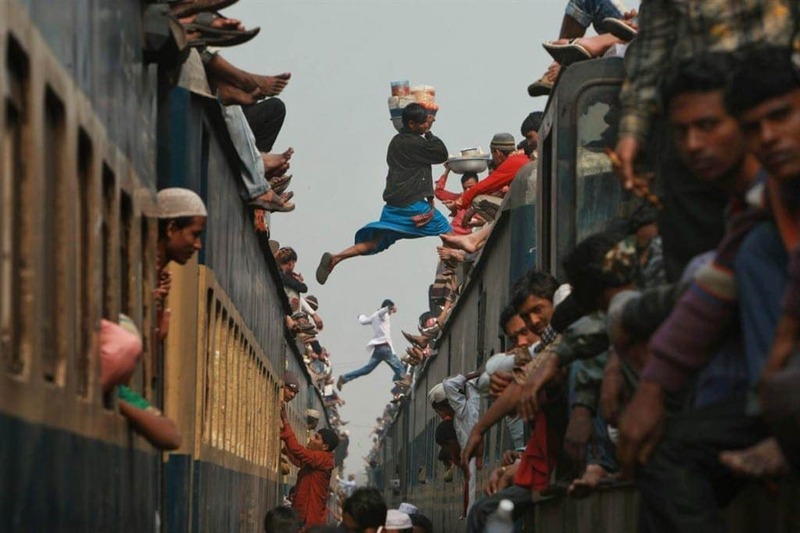 Well, no worries, because you can always just jump from one train to another while in motion. It’s the art of ‘Trainspassing’. Just check out how this guy does it so easily and with a basket full of things in his hands. It seems like he’s been mastering that art for years. How fun would it be to have a water park in the middle of the city? You won’t have to drive so far to far away places just to stand in line for hours in hopes to get on the next water slide. Well, we don’t think it’s going to happen any time soon, but from the look at this picture, we can have a sense of what it would be like to enjoy those city puddles. 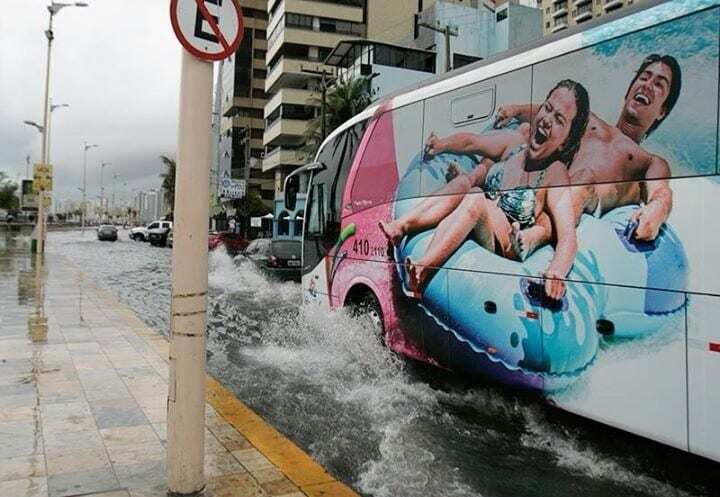 In any case, that’s one awesome way to have your ad merge with the outside world.